A little girl born with a cleft lip. A young boy with 1st degree burns. A child with a spinal-cord injury or even a club foot. These children don’t choose these things. They’re just kids. They need love and care. That’s what the Shiners do. Shriners Hospital for Children is committed to providing the best care in their specialty areas of Orthopedics, Burn Care, Spinal Cord Injury, and Cleft Lip and Palate, regardless of a family’s ability to pay. Shriners Hospital has helped thousands upon thousands of kids each year and ask for nothing in return. They do what they do because they love and truly care about children. Scott Smith, Owner of High Lifter Products, Inc, has witnessed this compassion first-hand. His son, Tanner Smith, was a patient at the Shriners Hospital in Louisiana. If it weren’t for the Shriners, Tanner’s road to recovery could have been dramatically different. After Tanner’s surgery, Smith became very passionate about giving back to the Shriners. He started by donating all the money he won from racing. One day, High Lifter customer, Scott McDaniels, contacted Smith with an idea. Scott McDaniels was a big mud rider and a District Manager at Applebee’s. His son had also been helped by the Shriners. McDaniels mentioned to Smith that they should organize a charity ride. Smith jumped all over it and together they started the first annual High Lifter Shriners Ride. The first ride took place in 2008. 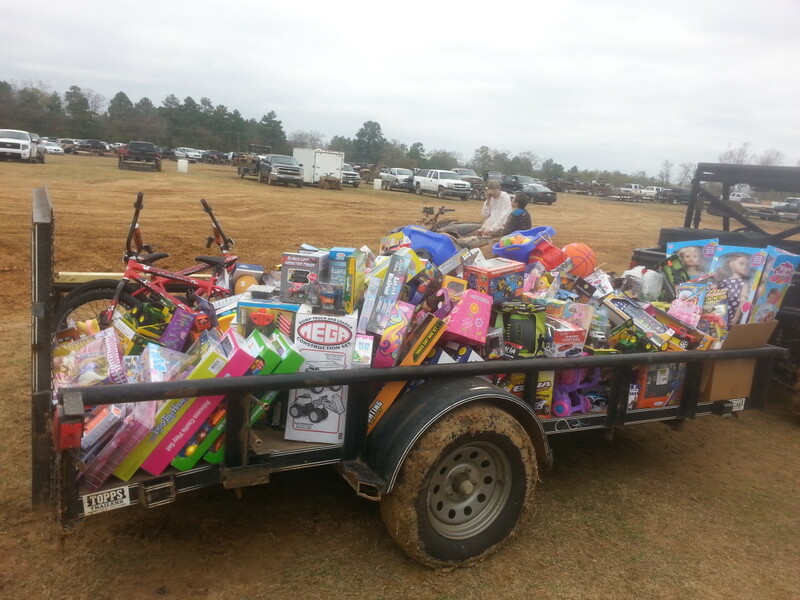 About 600 riders showed up and raised around $10,000 and truckloads of toys. Applebee’s donated food and the park concessions. 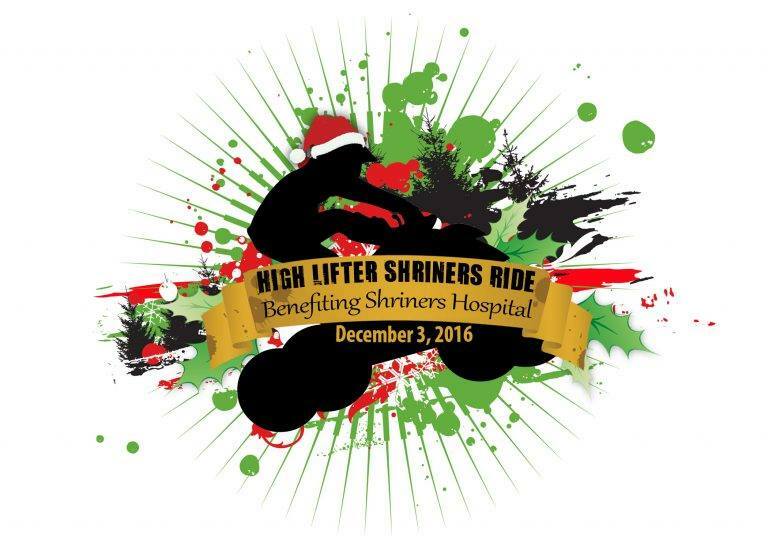 Since that first ride, High Lifter has raised over $100,000 in cash and donated over 18 truckloads of toys to the Shriners Hospital. “It’s funny,” Smith mentions, “I’ll never forget the first Shriners ride. A lot of the ladies at the local hospital didn’t really know what to expect and we showed up with all that money and all those toys. There were literally tears of joy. It was unbelievable. They say that our annual toy drive we have is the biggest supplier of the toys given to kids in the hospital. 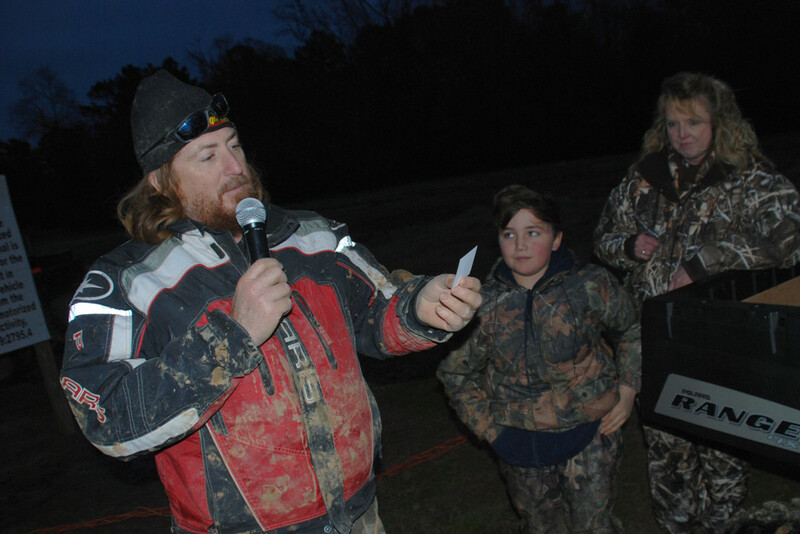 So, mud riders are actually making a really big impact on a lot of kids each and every year. 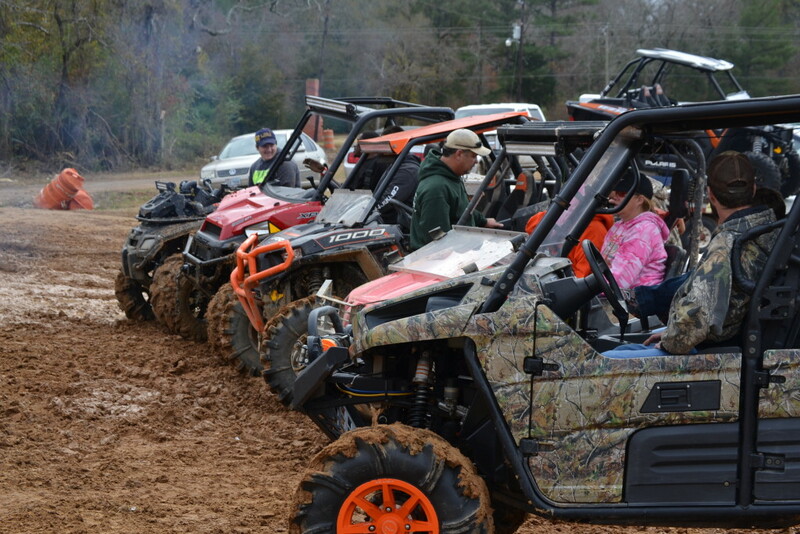 The 2016 High Lifter Shriners Ride will begin at 8:00am on Saturday, January 14th at High Lifter Off-Road Park and admission is a minimum donation of $15, or a brand-new, unwrapped toy. $5 raffle ticket for a chance to win a 2017 Polaris RZR 170 EFI: You do NOT have to be present to win, to purchase your raffle ticket online click HERE. 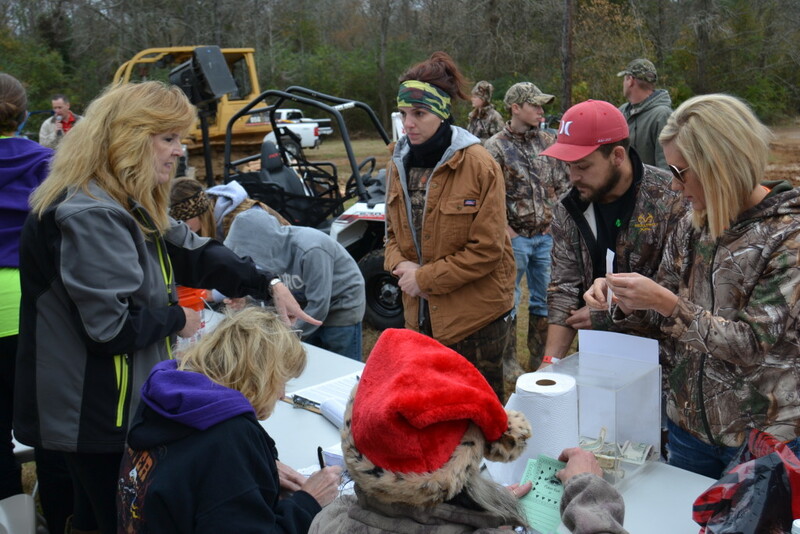 Deck Your Ride: Decorate your four wheeler or SxS for Christmas! Win gift cards for free food at Applebees. Open Trail Riding: The park has over 570 acres to ride with trails that are perfect for the first time rider and some more challenging for the experienced rider. People from all over the United States helped out last year so if you aren’t able to make it to the event but would still like to donate, click here! Every little bit helps to keep the smiles on those sweet innocent faces! “This is something that’s near and dear to my heart,” Smith explains. “There are many charities worthy of support, but my favorites are the ones that support children. Kids aren’t old enough to have done things wrong and live lives of sin like the rest of us. They’re just innocent kids.” -Scott Smith. What a very nice story. Way to everyone.